Wearing a green and white embroidered lehenga by Falguni and Shane Peacock, Sonakshi Sinha attended Arpita Khan Sharma’s Diwali bash. A pair of kundan chand balis from Gehna, gold potli bag and a low ponytail adorned with flowers completed her look! 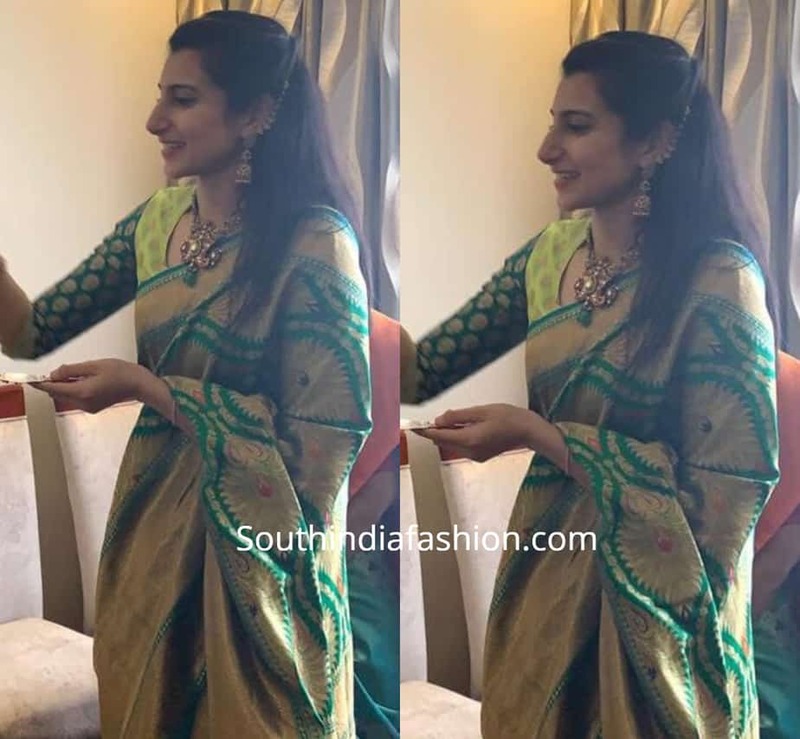 The post Sonakshi Sinha at Arpita Khan’s Diwali party appeared first on South India Fashion.